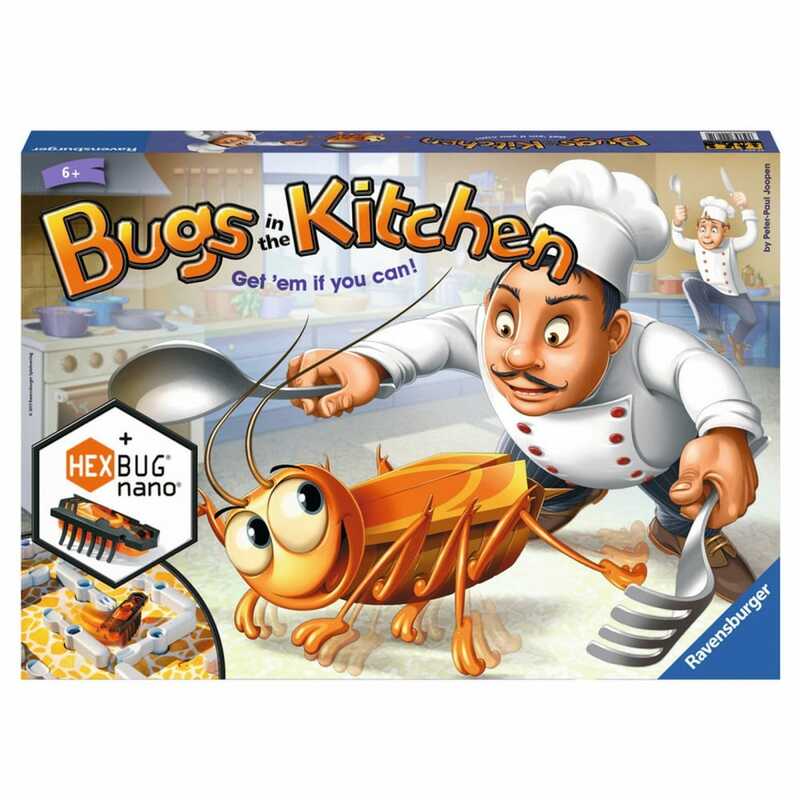 There’s a bug loose in the kitchen and you’ve got to get it out! Roll the die and pivot corresponding pieces on this 3-D maze board to trap the creepy crawly before your opponent does. Contents: 1 Special Edition HEXBUG nano (includes button cell battery), 3D game board with 24 moving utensils, 18 bug tokens, 2 doors, 1 die and instructions.